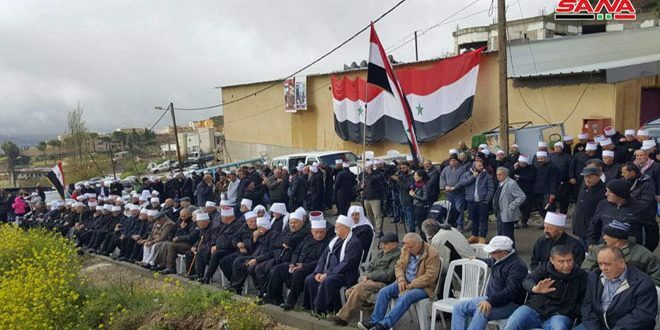 Quneitra, SANA – A public gathering was held on Wednesday in the town of Ayn al-Tineh in Quneitra province to mark the 73rd anniversary of the evacuation Day and to affirm the Golan’s Syrian identity. 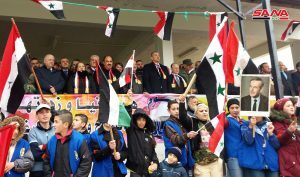 Assistant Secretary General of al-Baath Arab Socialist Party Hilal al-Hilal affirmed that the struggle will continue till the occupied Syrian Golan is liberated, adding that today’s celebration on the outskirts of the Golan confirms its Syrian and Arab identity , and the Syrians’ determination not to give up a bit of its soil and restore it by all available means. 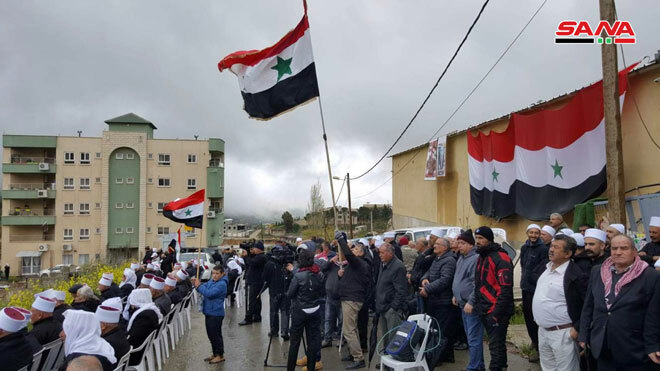 Meanwhile, a similar gathering was held in the town of Majdal Chams in the occupied Syrian Golan opposite to Ayn al-Tineh to commemorate the evacuation from the French occupation. 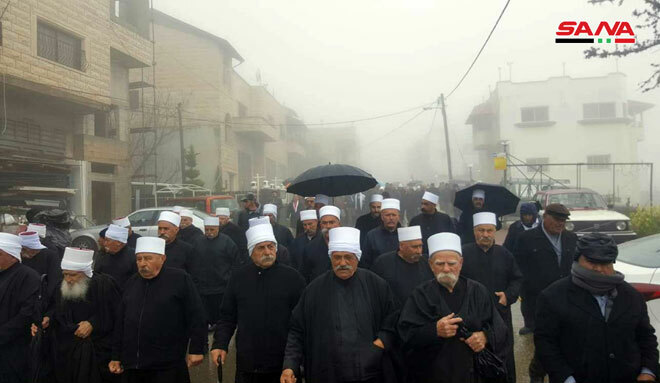 Sheikh Jad al-Karim Naser underlined the adherence of the locals of Golan to their motherland, Syria, expressing confidence in the inevitability of the liberation of Golan fully and to return to Syria’s sovereignty. 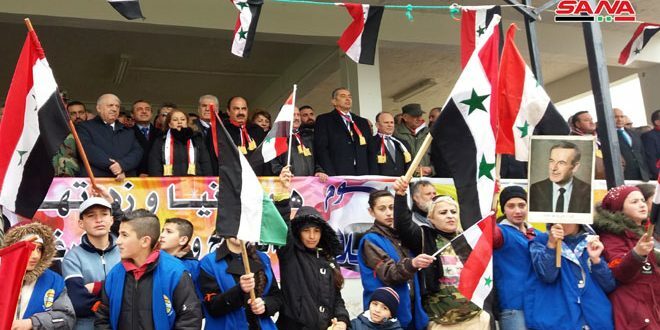 A number of the participants pointed out to the great meaning of the evacuation day “the Independence Day” ,which is embodied in the Syrian Arab Army’s heroism and sacrifices, Syrian people’s steadfastness against terrorism and economic siege imposed by the colonial countries. 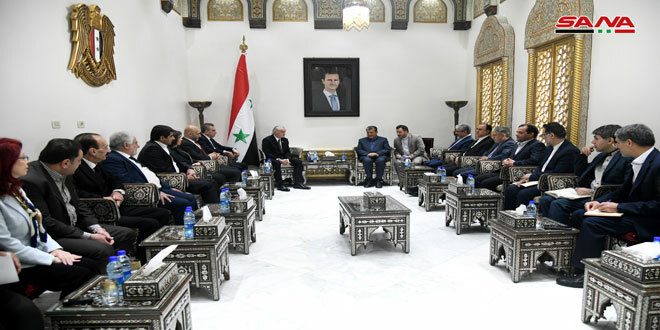 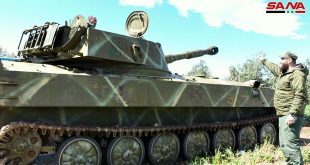 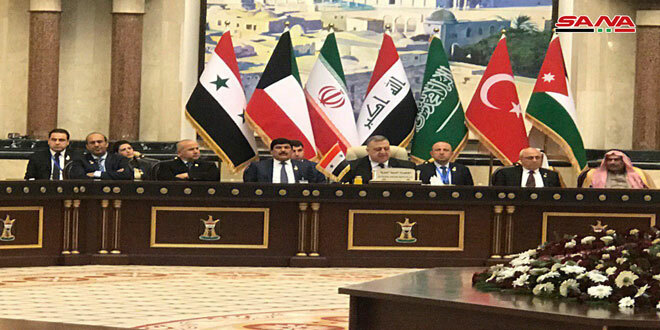 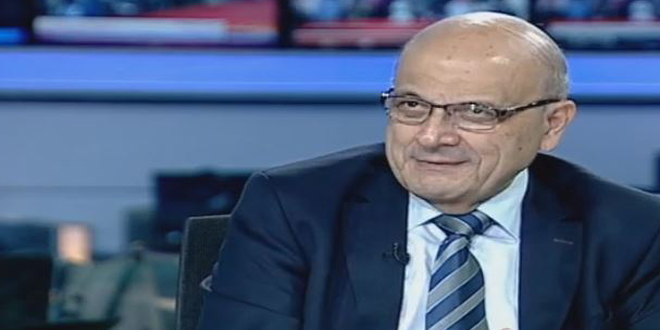 They stressed that the largest evacuation will be achieved through liberating the occupied Syrian Golan , and its return to the motherland, Syria.